Liverpool Town Hall is home to the Lord Mayor of Liverpool, Councillor Christine Banks. The Lord Mayor of Liverpool is always a serving Councillor, elected by the full council at its Annual General Meeting held each May and stands for one year in office. The Lord Mayor of Liverpool is known as the first citizen and chosen representative of the city, acting as a focal point for the community as well as promoting the city and forging national and international links. During major official functions the Civic regalia is displayed which comprises three maces, the Sword of State, the Silver Oar and the Staves. The Staves are symbols of the coach levers, which were once carried by running footmen to prise the wheels of the Mayor’s coach out of ruts in the road. Representing the city at Civic functions/engagements. Promoting the city nationally and internationally. Supporting local charities and community groups. Attending religious events of all denominations. Meeting delegates from twinned cities. Conferring the award of Honorary Freemen and Associations. 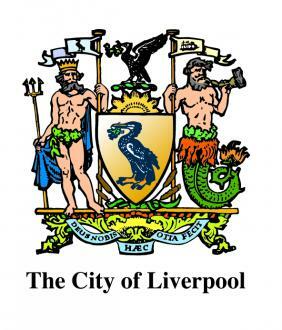 A list of former Mayors and Lord Mayors of the City of Liverpool can be viewed here. For more information on how to address the Lord Mayor and requirements for the Lord Mayor attending an event please visit our Civic Protocol page. Each Lord Mayor selects a number of charities and promotes fundraising events during their year of office. For further details on this year’s chosen charities please visit the Lord Mayor’s Charity Appeal page.